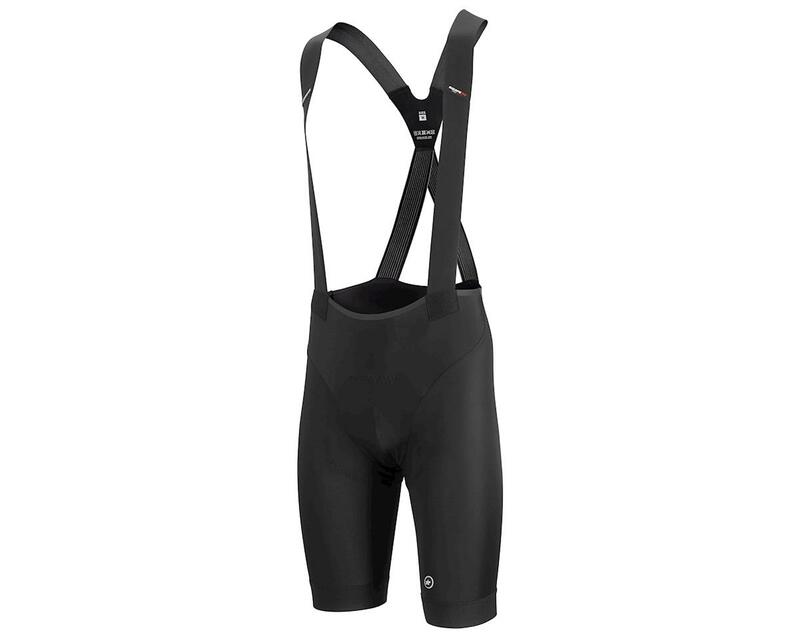 The Assos Equipe RS Bib Shorts S9 forge new ground, bringing unmatched stability and comfort to your most demanding speed-focused applications. S9 marks the future of race-tuned comfort, built on an entirely new platform that’s been re-engineered from the ground up. The most advanced insert technology is only as good as the framework that supports it. Consider the hard cornering, in-to-out-of-saddle pedaling, and hours of body repositioning that greatly impact your shorts and the way its insert functions, and ultimately the comfort both are able to provide. 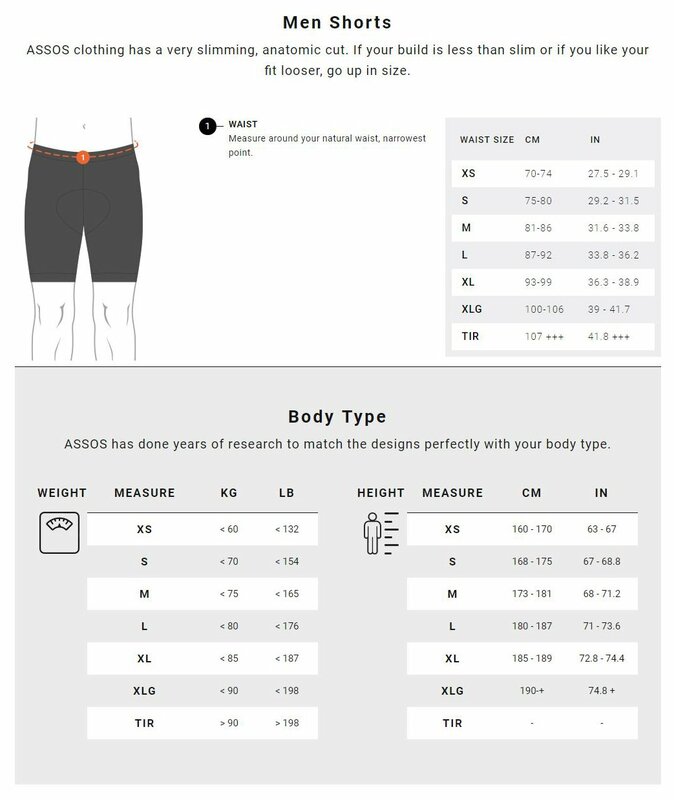 To address these points, Assos employed A-Lock Engineering, their new bracing system comprising proprietary textiles and technologies working together to stabilize the shorts and secure the insert in place. The S9 generation incorporates just two panels, with a primary “butterfly” panel fully wrapping the legs and converging in the rear to form an ergoBox structure. This design effectively frames the insert in place and provides you with an ultra-comfortable wrap on your legs using Type.441 textile, developed specifically for compressive hold and silky comfort. From here Assos added their unique rollBar, which mimics a race car’s anti-sway bar by using the bib straps to stabilize the insert as your weight transfers from left to right while cornering. Each strap is sewn into the seam directly above the insert, ensuring it’s under pre-loaded tension at all times. The bib straps have also been redesigned using calibrated stretch throughout, with the rear section using a single section of elastic material—folded over on itself—forming an A-frame in the back. It delivers limited vertical stretch in order to add further stability. In the front, the straps are made of a more flexible material, with an antibacterial carbon weave, to wick moisture and lay flat. Assos also focused on a single insert platform—evolved from their proven Equipe Evo—giving them the freedom to reassess what is most crucial to a streamlined, race-spec insert. They reduced the overall footprint to shed additional weight, employed superAir microShock foam with 3D waffle, incorporated their kraterCooler system to increase airflow up front, and took additional measures to anchor the insert at the rear with a patented horizontal stabilizer. The result? Signature ASSOS comfort, stabilized. rollBar: A patented bracing design that mimics a race car’s anti-sway bar by using the bib straps to stabilize the insert and lock it in place as your weight transfers from left to right while cornering. Carbon Xbib: A single section of elastic material—folded over on itself—forming a supportive A-frame that delivers limited vertical stretch in the rear. 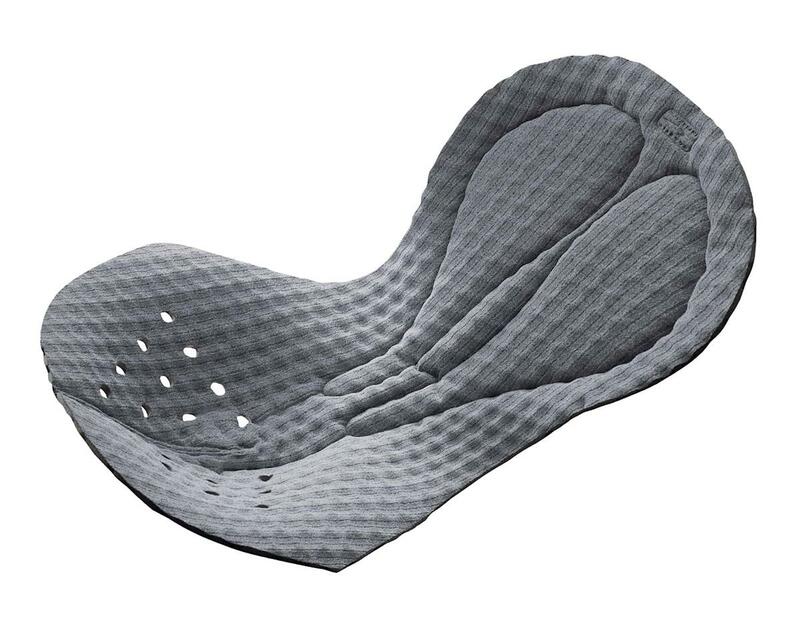 Above the “X” junction, a more flexible material is employed, incorporating an antibacterial carbon weave, to wick moisture and lay flat in the front. zeroWaist: A raw-cut, tape-reinforced edge for the smoothest transition possible between the body and fabric panel. More comfort with less pressure. 30% Seam Reduction: Flatter seams throughout, with fewer overall, translates to more comfort and lower overall weight (180g). 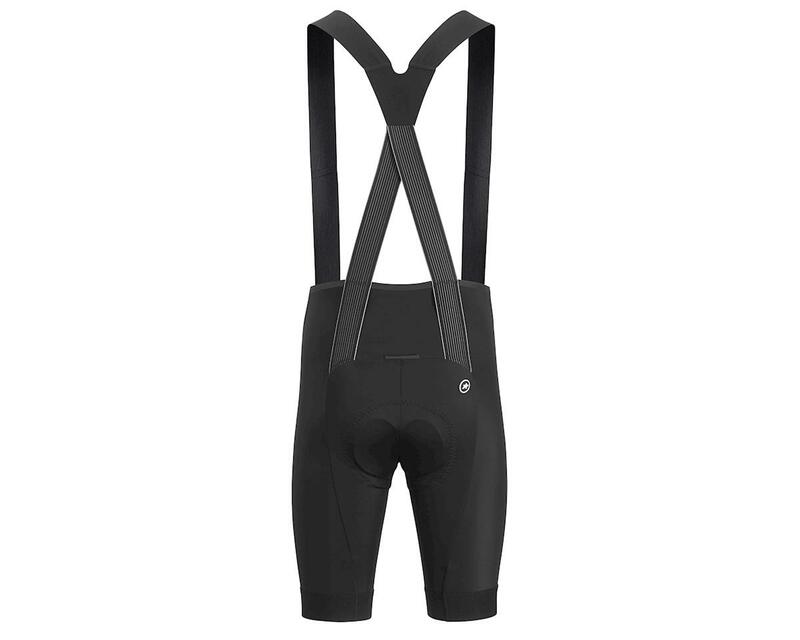 Note: Assos bibs fit perfectly on the bike and thus can feel a little 'short' while standing upright. Please refer to the charts below for measuring size, and note TIR is similar to XLG but wider (not taller).